April 7, 2018 — Free Kid's Dash Clinic Join the the UVA Track & Field team at 8:30am at the CAGE (next to UHall) for a Free training clinic to get in shape for the 27th Annual Discovery Dash on May 6! The event is for kids ages 3-12, with an adult. 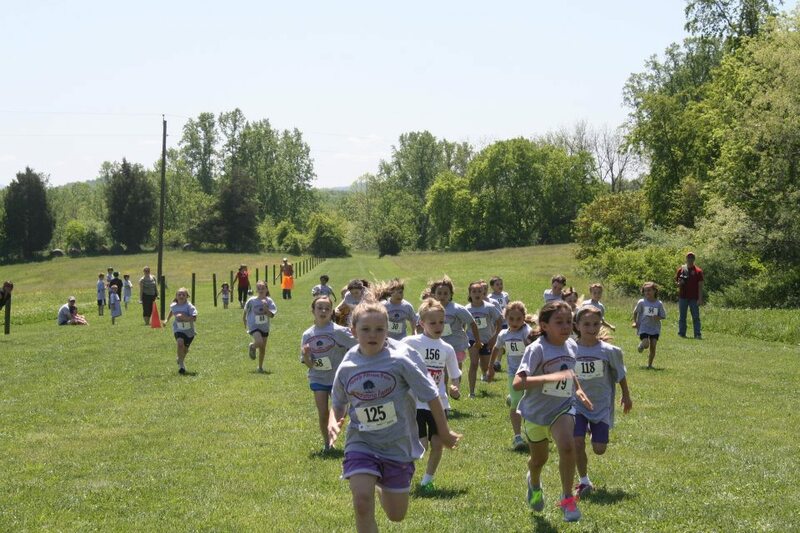 The clinic is brought to you by the Virginia Discovery Museum & Ragged Mountain Running Shop. A special thank you goes to the UVA Track & Field and Cross Country teams! April 14, 2018 — The Run For Autism Hosted by The Virginia Institute of Autism. Featuring a quarter mile race on the CHS track or a full 5K on the road. April 2018 — The Family Fitness Fair Hosted by The Charlottesville Day School at Panorama Farms in Earlysville. Featuring a 100 yard dash and a half mile run on grass. 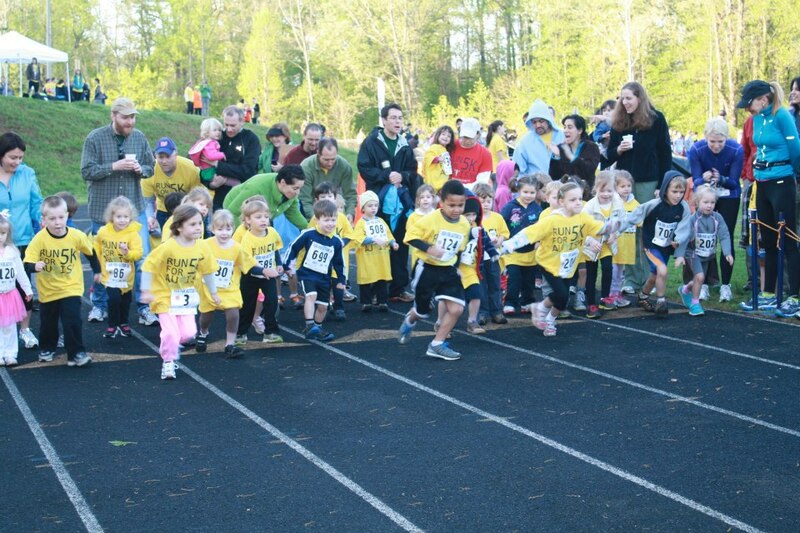 May 2018 — The Annual Discovery Dash for Kids Hosted by The Virginia Discovery Museum at Monticello High School’s track. Featuring races from 100 meters up to the mile with several family oriented relays on the track. May 2018 — Superhero 2.5K, One Mile & 0.75K Run Hosted by Charlottesville City Parks & Rec, 6:30pm at Pen Park. Costumes are encouraged and prizes will be given out. All of the events are organized by volunteers and all of the proceeds from the races will be donated to area not-for-profit causes (over $200,000 in 2016). 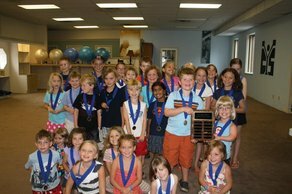 To qualify for the prestigious Kid's Triple Crown medal, participants must be 3-12 years old and must finish at least three of the four separate races. Participants must register for all three (or five) races separately. Sportsmanship rules apply at all of the events…poor sportsmanship could lead to disqualification. 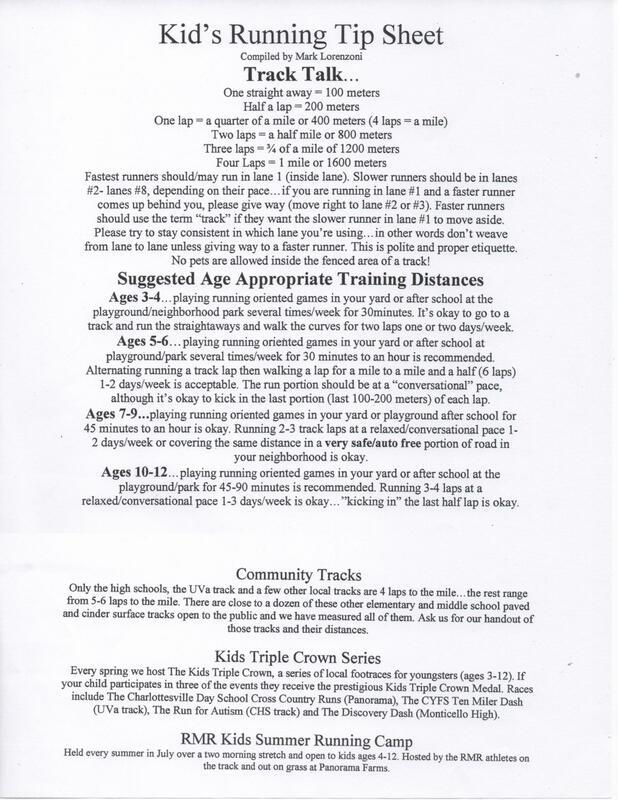 For more information on The Kid's Triple Crown series call us at 434-293-3367, email us, or go to the individual web site addresses listed above. Come join in some healthy family fun this spring!